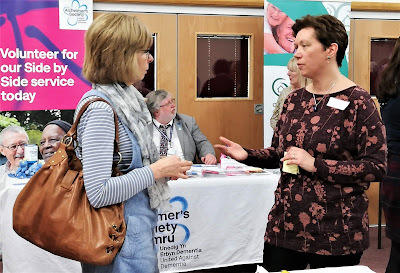 On Wednesday 20 February we attended the latest Powys Dementia Network event at the Elim Church in Brecon. It was organised by our colleague Sue Newham, Engagement Officer in the team, and attended by a huge variety of organisations and individuals. These included Community Psychiatric Nurses from the Brecon Community Mental Health team, the Macular Society, Mid & West Wales Fire Service and Care & Repair Powys to name but a few. We will try to capture some of the spirit and information from the day below, but if you would like to find out more and / or attend future events then please get in touch - further details at the end of the post. The last Network event was also captured for the blog in Powys Dementia Network event Spring 2018. Heather emphasized the importance of continuing to raise the profile of dementia as we have been doing. It is high on the Welsh Government agenda with increasing numbers of people living with dementia as the population ages. She reminded us of the 6 pledges in the Powys Dementia Plan, and also highlighted the significance of working collaboratively with Powys County Council and the Third Sector to achieve the best possible outcomes for people living with dementia. There have already been many achievements in Powys, including the introduction of the Butterfly Scheme on hospital wards, a rolling programme of dementia awareness training for health board and care home staff, and specialised RITA (Reminiscence Interactive Therapies and Activities) training too. Heather noted the huge focus on housing in the new Welsh Government Dementia Action Plan for Wales. She is keen to share best practice with colleagues and work towards the goal of ensuring people can live well at home for as long as possible. Steve began by addressing the discrimination and stereotyping that many older people living in Wales face on a daily basis. 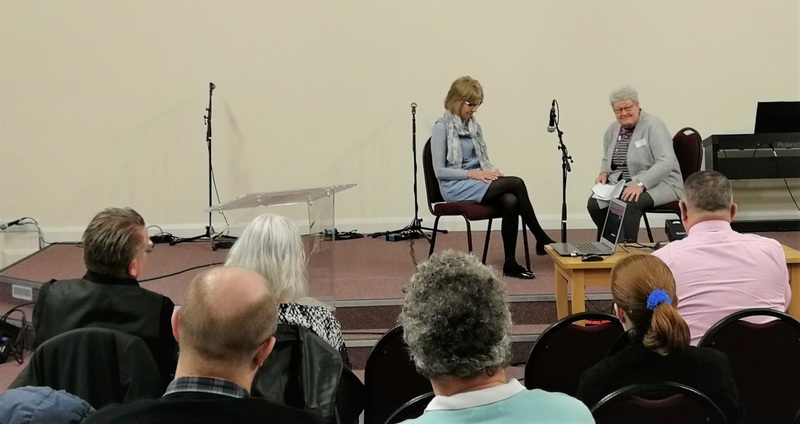 He said that older people need to feel valued and respected, to lead healthy active lives, to have their voices heard and be acknowledged as “experts by experience” in building communities for the future. 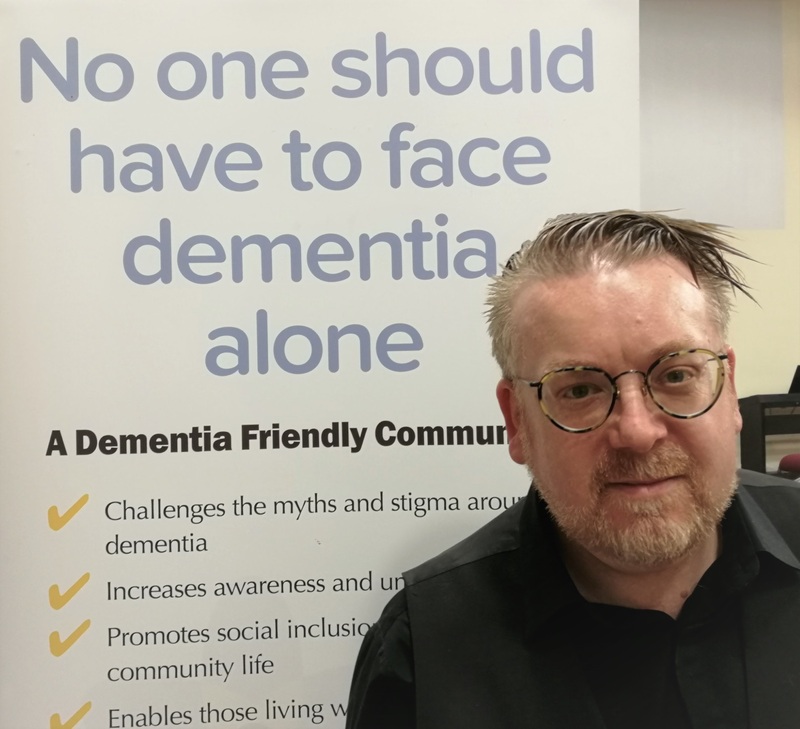 He is pleased to see the rise of dementia friendly communities in Wales, which can make transformative changes for people living with dementia, but recognised that there is a spin-off for communities which become better for all of us as a result. Whether housing is provided by housing associations, the local authority or Third Sector organisations it is key that important questions are addressed such as - can people access transport, socialise with friends or enjoy green spaces? Steve believed that no one sector can do all that is required - it is important to look at innovative but practical solutions to meet the needs of the over 55,000 people who will be living with dementia in Wales in just the next two years. Housing is critical in all aspects of our lives - and creating warm, safe and accessible housing that allows people to live independently for longer reduces the impacts on stretched public sector services as well as improving individuals’ lives. It’s essential to recognise the importance of housing as more than just accomodation, it’s where our days begin and end, where each daily journey starts, it’s the heart of our world that allows us to live the lives we want to lead. We need to move away from theoretical practice and implement something that can make a big difference to people’s lives, creating a Wales that everyone is happy to grow old in. Terry is both a team leader for the council’s housing strategy and also a pensioner! After acknowledging the changing demographics of Powys whereby younger people move away for work and education whilst retirees choose to settle here in later years, Terry focused on two specific areas of his work: the bricks and mortar, and housing support needs. The old sheltered housing model of the 60s and 70s is not fit for purpose in this day and age. Council and housing association stock is being reviewed and refurbished where appropriate to suit the needs of today’s aging population. He was shocked to discover that 30% of accommodation originally designated for older people was no longer suitable, for example, not accessible. Terry went on to describe a new approach called Extra Care. Working with the health board and housing associations in Powys some of the care homes are being replaced by a different kind of provision. An example of this is Llys Glan Yr Afon in Newtown. Here people can live independently in their own homes but be reassured that extra help and support is available throughout the year. Similar projects are being developed in Ystradgynlais, Welshpool and eventually Brecon. Sam highlighted the need for change in how we approach supporting people with dementia. It’s not acceptable to just adopt a technical approach, but to recognise and adopt a person centered approach, changing from ‘what matters,’ to ‘you matter.’’ Considering person centered approaches like colour coded tarmac to support people in their daily journeys to and from their homes. 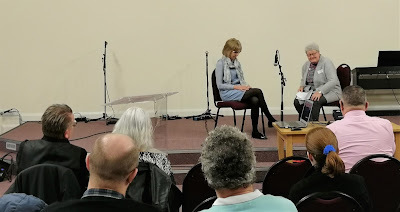 Sam showed some stereotypical images of people with dementia and challenged the preconceived view held by many, she called for a dementia revolution, looking at supporting the whole human. 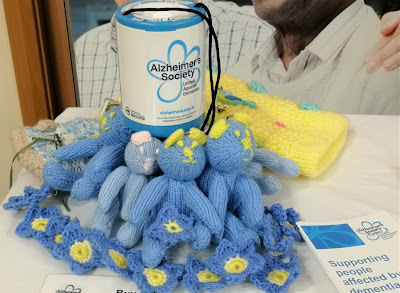 Kerry Phelps introduced the Alzheimers Society as the leading support charity for people with Alzheimers. As an organisation they’re increasing their reach irrespective of circumstances and engaging as many as 1000 people in their consultation processes. She introduced their new service ’Dementia Connect,’ a staged transitional process with five different tiers. 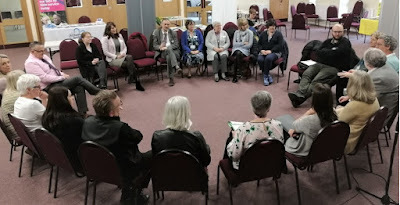 Dementia Connect was trialled in the Pennines, then Birmingham and is now being rolled out in Wales as an early adopter model. The programme followers a befriending model with a dementia support worker assigned to support people with their dementia journey from diagnosis, through to end of life. 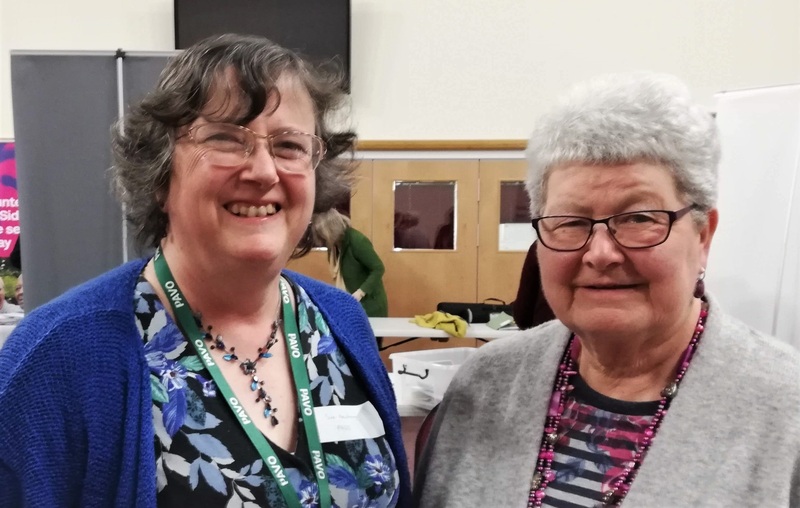 In Powys Anne Clark is the point of reference for South Powys, whilst Alvine Stewart has been newly appointed as the point of reference for North Powys, both posts offer 28 hours of support a week and are currently based in Talgarth. 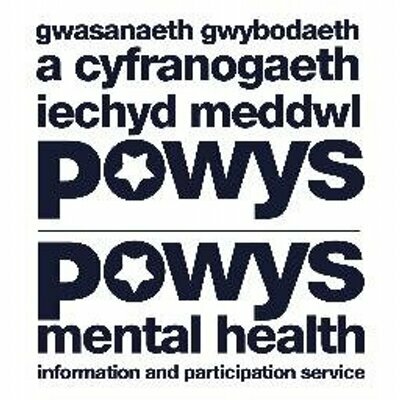 The first point of access to the new service is by telephone call to a professional support hub, staffed by trained dementia workers, where each caller has the option to talk to a Welsh speaking support worker should they require it. Most people are able to access support and receive the support and help they need with triage and generalised support. However 70% of people whose queries cannot be dealt with there and then are escalated to the next level of tier 2 support. Tier 2 support workers offer one to one support in the home with commissioned care plans. After the Tier 2 support has finished a KIT, ‘Keeping In Touch,’ support worker will proactively be in contact six months after the cessation of support to monitor progress and assess whether further support is required. This tiering of service is designed to prevent ‘slippage,’ of people falling through the net and not accessing the support they need. 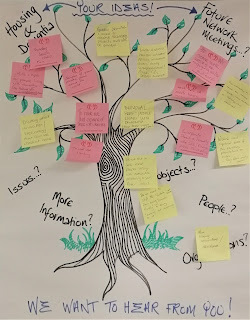 Gill Garner & Frances Isaacs facilitated this workshop looking at practical solutions for people living with dementia. Watch out for a separate blog post about this recent research project. The afternoon session gave everybody attending the conference the chance to share their views and opinions about the network and how we shape and develop it moving forward. Sitting in a circle gave a real sense of coming together, connecting and sharing, rather than a “contribute from the floor, more formal feedback” session. The session began by asking what is the purpose of the network? How do we drive it forward? How do people have their needs met and what do we focus on next? The consensus of opinion was that the service users are our priority and as such they should be more proactively involved in the network, giving us the insight and opportunity to take more purposeful action on specific services. It was suggested that a pre-meeting consultation could be held with a dementia steering group to determine what our focus should be. 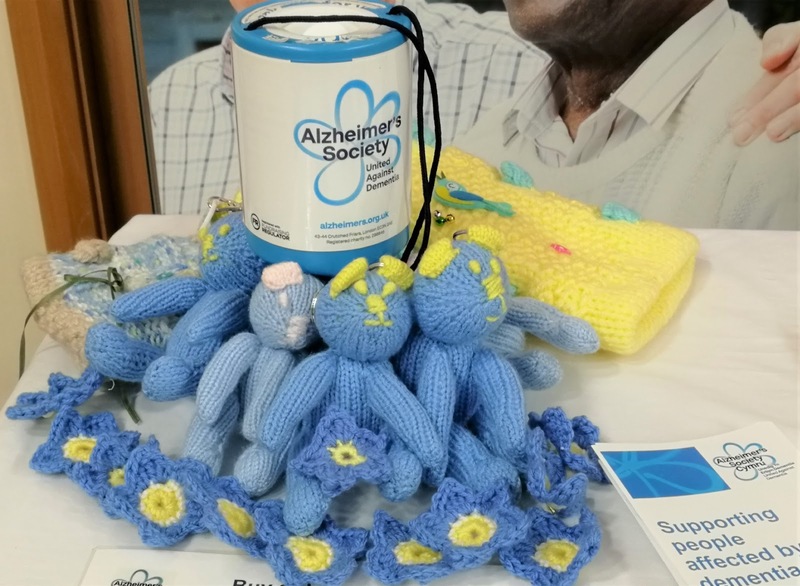 There was also a felt need to forge stronger, valuable links with other groups working towards a common goal such as the Alzheimer’s Focus on Dementia groups. To actively engage people with dementia and to be led by their needs and requirements was commonly felt to the best way forward, considering how we actively engage communities, focussing on tangible issues that make a real difference on a daily basis. Recognising that we all need a plan for aging, asking ‘Are you OK? Can I help,’ are questions that can make a real difference to people’s lives. 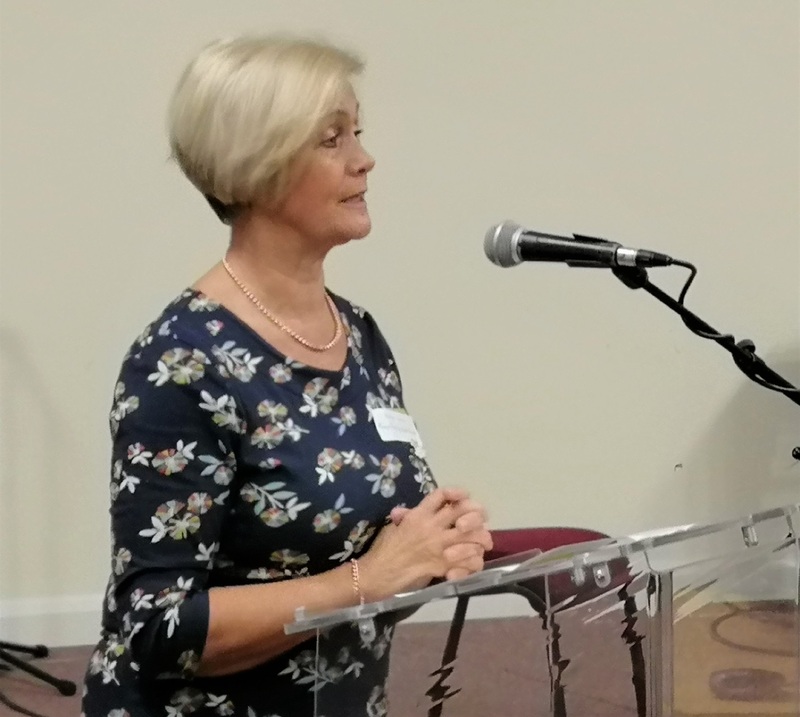 Trish Buchan, trustee for Powys Teaching Health Board, summarised the day by saying that ‘Today is a giant step, we have moved forward and come a long way. PAVO’s Engagement Officer Sue Newham agreed and added, ‘big picture thinking starts with lots and lots of steps to get there,’ Lets see what else we can do to make a real difference to people’s lives and change what Frances Isaacs, an attendee living with dementia, calls ‘pyschobabble,’ to productive babble. 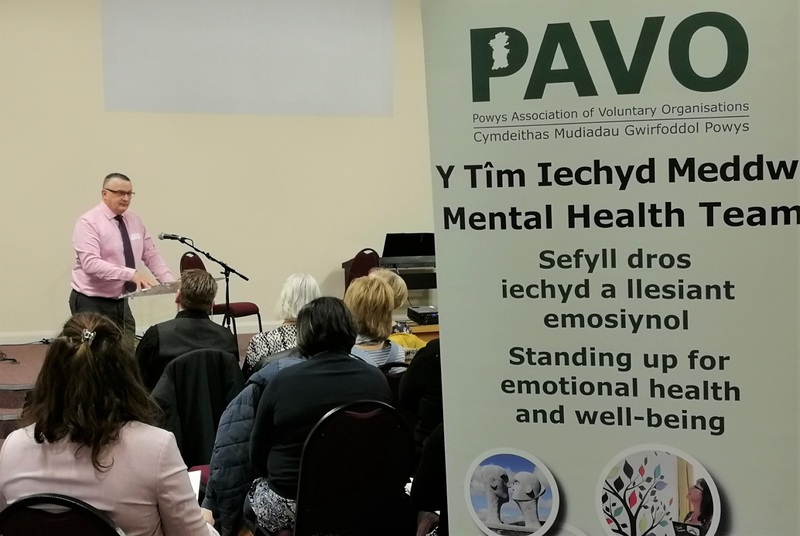 To sign up to the Powys Dementia Network and find out about future Awareness Days then please contact Sue Newham, Engagement Officer at PAVO, by emailing sue.newham@pavo.org.uk or ringing 01597 822191.